Zone Captain Amelia Conlen at OS Watsonville 2017. Photo by Bill Bishoff. We need lots of volunteers to help run Open Streets events. Perks include: enjoying a sunshine-y day outdoors, supporting a community-driven event, promoting local nonprofits, making new friends, free snacks and coffee, and usually meeting an awesome dog or two. Fill out the form below to let us know you're interested, or email us at volunteer [at] bikesantacruzcounty.org. What time(s) do you prefer to help out? 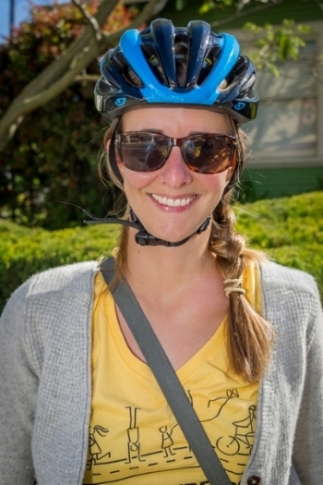 Sign up for Open Streets Santa Cruz County e-newsletter to get updates on future events!